Who is Theodore Us? : 2014 here we come! So I've been completely rubbish at updating this thing. Big apologies to my tiny number of readers. Part of my problem was the camera on my ipad being SO poor. Anyway, I'm going to try a different camera and see how that goes. 2013 was good for wargaming. I played a few large games of LOTR, but generally not as many games as I would like. X wing became my go to game, but have also dabbled in 6mm WW2. Also have found new opponents at York Garrison wargames club. 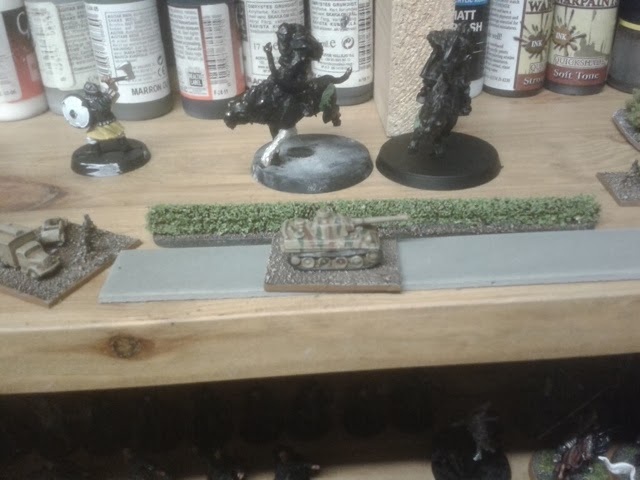 Here are some of the things currently on the workbench all of which need to have bases finished. Pippin Guard of the Citadel, flanked by 2 more Citadel Guard. Only 25 more Mina's Tirith miniatures to paint! 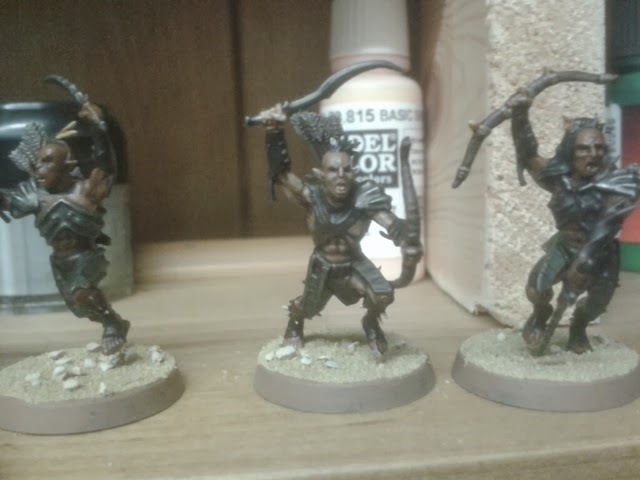 More Misty Mountains goblins, just need to finish the scribe now. 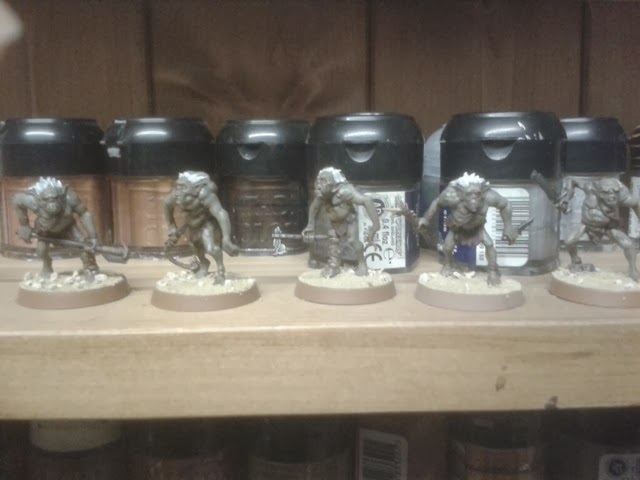 I found some more hunter orcs on eBay to bring my army to two full warbands. I've painted quite a few Germans now for late war Europe. I've been playing with making some terrain. A shopping trip to the Range gave me some ideas to use "funky foam" and pipe cleaners. I may do a more detailed post on this at a later stage. That's it for now. Hopefully will post more frequently from now on. Maybe! Looking good, mister(s) The Us! 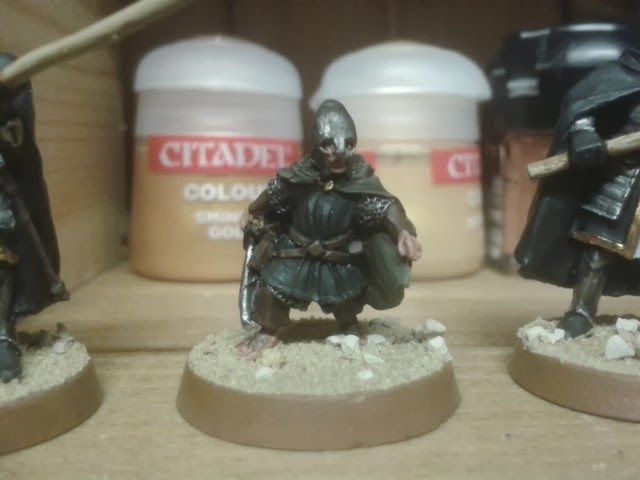 LotR is always a beautiful thing to see, especially well painted little Hobbits and goblins! Thanks Llama, I think you are the first person to call my painting beautiful! Cheers Scott. This sculpt got a lot of grief on the One Ring recently, but I love it. He was great fun to paint.